The design of whisky distilleries has evolved and changed over the years, from a few vessels in a spare farm building, to the distinctive pagoda-capped maltings of formal Victorian structures created by the likes of the prolific Charles Doig. Beyond that, increasing demand for Scotch whisky led to the construction and re-construction of many of Scotland’s distilleries during the 1960s and ’70s, often in what might best be termed neo-brutalist style. Today, as the total of whisky distilleries in Scotland reaches record numbers, design is of more importance than ever, with environmental considerations frequently to the fore. One firm flourishing in the sector is Organic Distilleries Ltd, a sister company to Organic Architects, which was established by Gareth Roberts in 2005. The practice is based in Helensburgh, Argyll and Bute, and operates as a specialist architecture and consultancy group for the worldwide design and delivery of distilleries. Roberts was born in Cheshire, but brought up in Callander, Perthshire from the age of 12. He worked in the field of urban design and spent time in the United States and in Russia, before striking out on his own. “Initially we were building houses, but very alternative eco-developments that encouraged a sense of community,” he explains. “We first got involved with distilleries three years later. The company’s first distillery project was to design Ardnamurchan, remotely situated at Glenbeg on the Ardnamurchan peninsula, just north of the Isle of Mull. 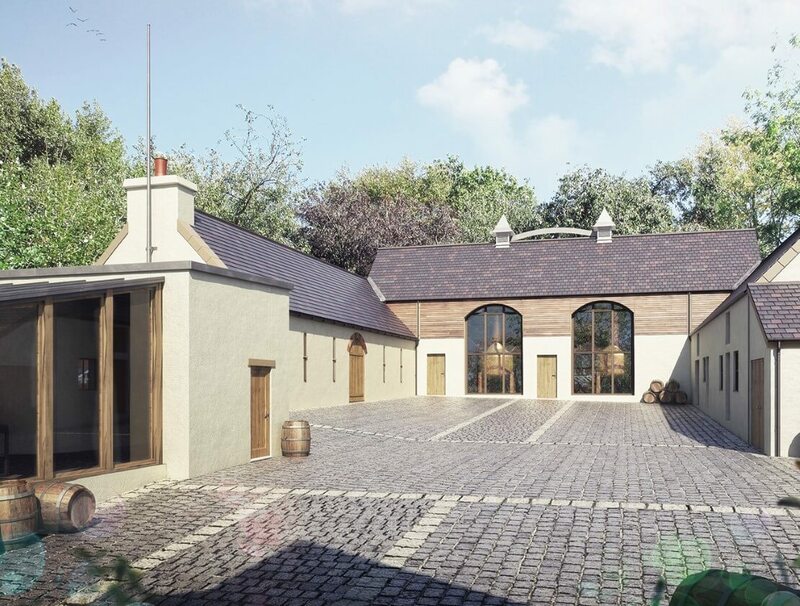 The distillery was built for independent whisky bottlers, Adelphi Distillery Ltd and is powered by a biomass plant which makes it one of the most low-carbon distilleries in the world. Gareth Roberts says, “Getting kerosene to such a remote location to fire the boiler was always going to be expensive, and they also wanted to use local fuel sources. They chop local timber and use it for biomass. 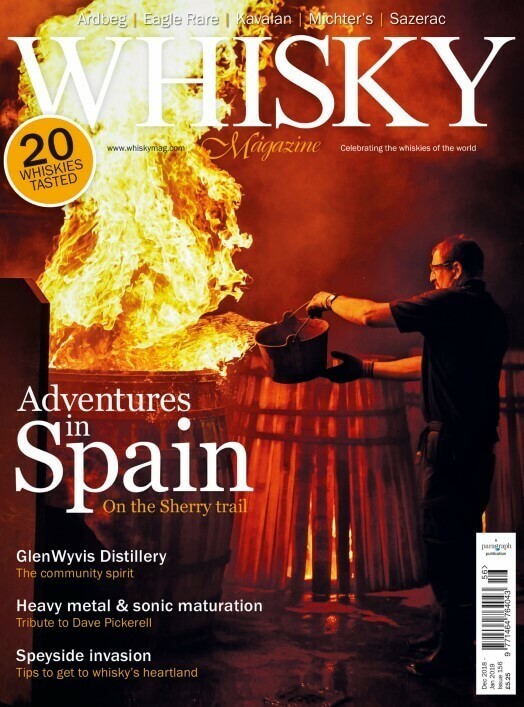 On the subject of distillery design, Roberts points out that, “You have challenges to deal with such as the fact that a stillhouse is dry and hot, while mashing is a moist process, and both areas of the distillery need to be highly ventilated. You’re constrained by building regulations and planning, health and safety and best practice legislation. We bring all of these factors together and what we create has to fit into the landscape, it’s got to be attractive and look as though it suits the place. Since designing Ardnamurchan, Organic Distilleries has worked on two other now-completed Scottish distillery projects, namely Drimnin and Lindores. One of Organic Distilleries’ recent projects was to design Princetown Distillery on Dartmoor. The site is owned by the Duchy of Cornwall, and Roberts explains that, “It’s a courtyard and a group of buildings, all served from the back, so the front is clear and uncluttered. You have a nice flow right through, from the stillhouse into the two-storey bonded warehouse. Building started in early 2018 and it will be online in a couple of years. We have to get approval from Prince Charles for each stage, and knowing he’s a keen artist we had the initial plans done with watercolours. It worked! Roberts explains, “We are now designing and managing a new wave of craft distilleries, spread throughout the UK, from the north of Scotland to the Western Isles, the south of England and overseas. Many of the investors in new distilling ventures have local associations, but moved away to further their careers before returning, while others simply love the area and wish to be involved with it in a tangible way. The distilleries created with their contributions provide a number of relatively well-paid jobs as well as spin-off benefits in tourism and the wider community. A distillery can also help to reduce the seasonality of tourism in an area.